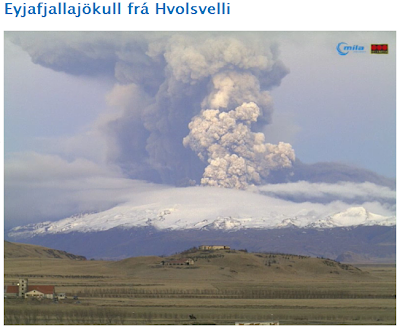 A few media outlets are starting to talk about a climatic impact of the Iceland volcano, but they shouldn't be. First, this is really a pretty modest event. 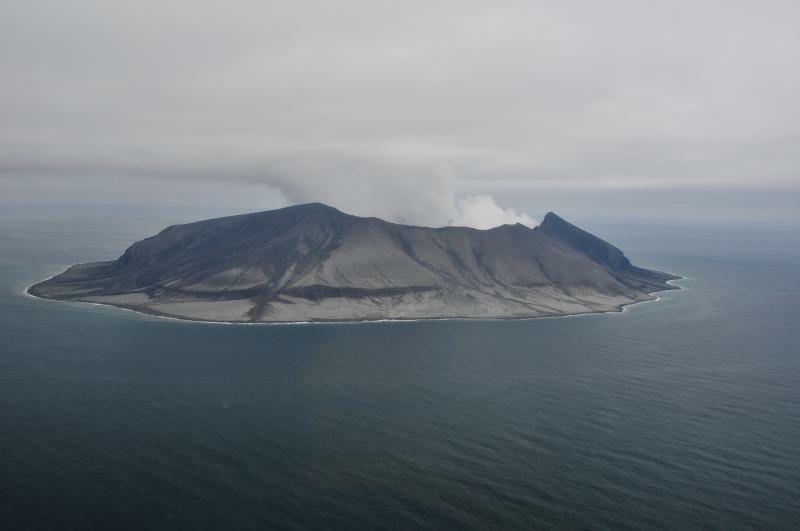 But even more important, it is NOT ejecting large amounts of sulfur dioxide into the stratosphere, which is the main way volcanoes alter climate. As noted in my last blog, sulfur dioxide combines with water vapor to create small sulphuric acid particles that scatter some of the sun's rays back into space. The result is global cooling--up to a degree or two C for the big eruptions. We have satellites that can measure sulfur dioxide (SO2) from space, one of them being the NASA OMI instrument on its AQUA satellite. Here is a recent image showing total SO2 in a vertical column--no real evidence of volcano SO2 in this and previous images. that had much more prodigious SO2 production. Lots of red...that means plenty of SO2. Another point is the latitude of the eruption: being far north limits that ability of the SO2 to spread into the equatorial zone and the southern hemisphere. I suspect the authorities in Europe are being conservative, perhaps too conservative, in canceling flights and closing airports. With some effort, the altitudes and locations of the dust cloud could be accurately delineated and flights could simply be vectored away from the areas of higher concentrations. Furthermore, a lot of the dust coverage over Europe is very thin--is that REALLY a problem for a jet engine? 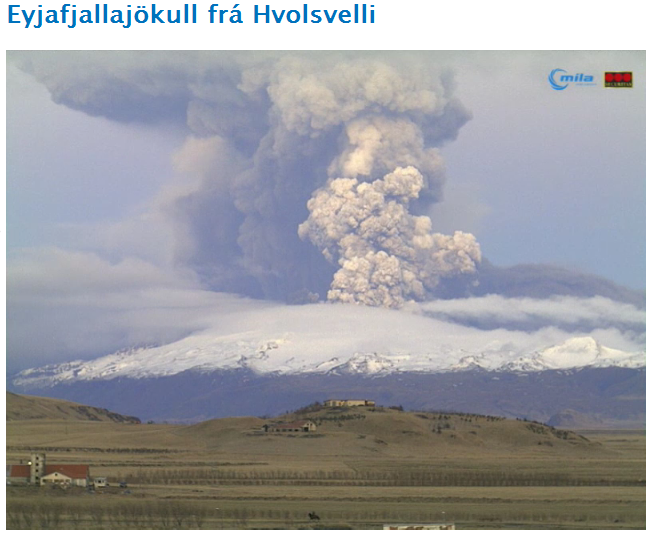 This is really a minor eruption and it seems unlikely that it could spread a sufficiently dense layer of dust over the volume of air in which air traffic restrictions are taking place. They are being careful, and lets face it, aviation authorities over Europe don't have much experience with such dust events. Long range weather predictions indicate the later in the week the flow over most of Europe will turn more southwesterly, so even if the volcano is going wild most European airports should be functional. Perhaps some old prop planes (driven by gas engines and not turbines) can be taken out of storage...they do much better with volcanic dust, since the blades of jet turbines are the real vulnerability in volcanic dust clouds. Finally, for those of us in the Northwest, tomorrow should be a splendid day. The front is moving through now and the showers are lessening. We should see sun and temperatures climbing into the 60s for the lowlands. Some people has asked whether some of the dust on their cars is volcanic dust. The answer is no. Most of the gunk is pollen from trees and plants. I had to wash my car yesterday...it was covered with the stuff!